The Chelsea Art Fair has been bringing quality contemporary and 20th-century art to London's Chelsea Old Town Hall for close to 20 years. Now with a younger, fresher feel to the format with new layouts, organisers, selection committee, and marketing teams introduced two years ago, the 2015 fair promises to build on that progress with many of the galleries returning this year. 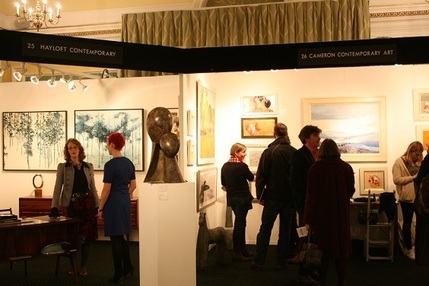 For four days visitors can expect a selection of galleries offering paintings, prints, drawings, sculptures and ceramics to peruse and purchase. Prices usually range from £500 to £20,000 and are independently vetted so you can be sure you're paying the approximate market value. The Chelsea Old Town Hall is a pleasant venue in which to admire works of art and is very welcoming to casual browsers and amateur art buyers. The nearest station is South Kensington Tube, and there are plenty of great hotels near Chelsea Old Town Hall. What are the best dining options near Chelsea Art Fair London? Chelsea Art Fair gyms, sporting activities, health & beauty and fitness. The best pubs near London Chelsea Art Fair. Chelsea Art Fair clubs, bars, cabaret nights, casinos and interesting nightlife. Where to have your meeting, conference, exhibition, private dining or training course near Chelsea Art Fair. From cheap budget places to stay to luxury 5 star hotels see our discounts for Chelsea Old Town Hall hotels, including My Chelsea London from 75% off.